What do I need to get? It seems like it would be standard enough that I could get it at a local place (oreilly's etc), but not quite sure what to look for/sizing since there isn't really anything to take off further (hopefully). Would it be smart to replace the nuts with stainless? So I was able to find a gasket from O'reilly's tonight which fit and seems to work great. For anyone else's reference, the exhaust pipe is 2"; the part I used is Nickson Exhaust Pipe Gasket 31400. I snugged it up with a couple new nuts and lock washers. It's so quiet now that it doesn't seem like the same truck at all. 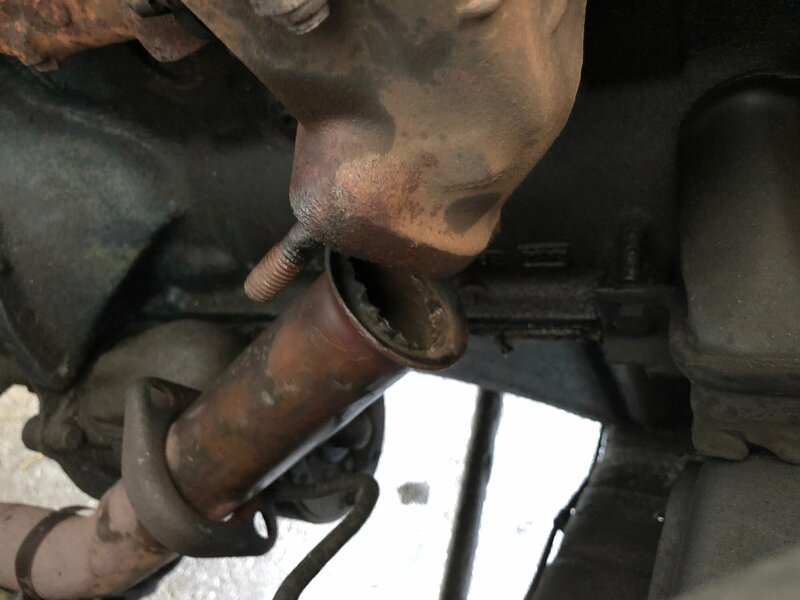 Now that it's quieter and doesn't have the wide open exhaust, I see another place that exhaust is leaking, possibly not quite as easy of a fix? 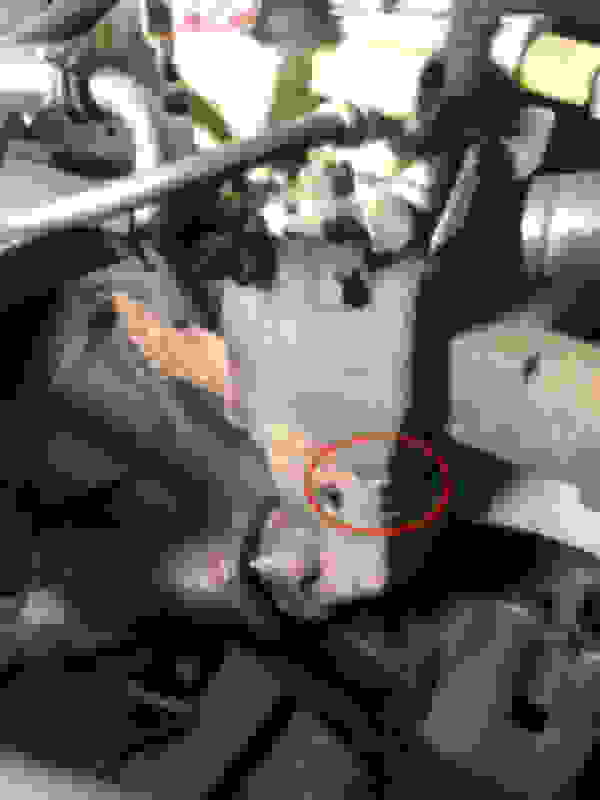 Circled in red below, looks like maybe a small crack in the cast iron. 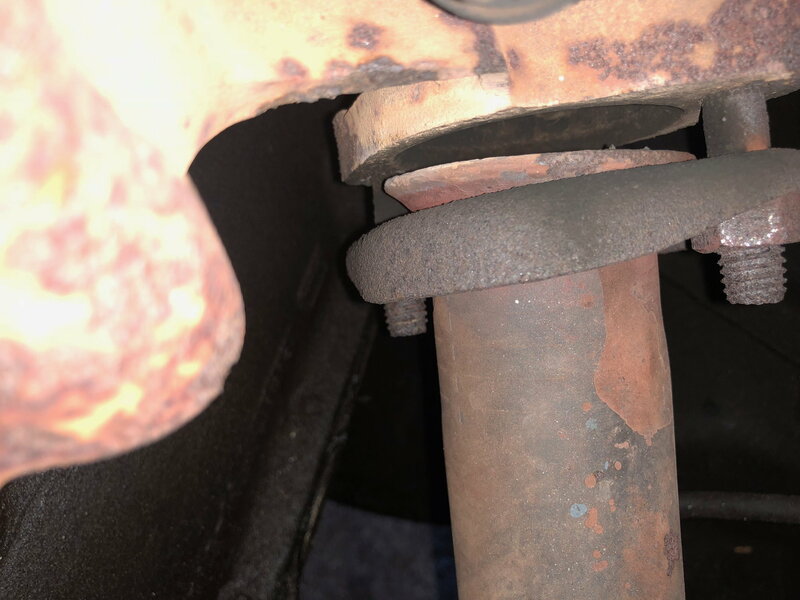 Is that part of my exhaust manifold? How big of a deal is that small leak? Also still would love any thoughts on better/proper way to hang the exhaust. 1965/69 F100/600 240/300 // 1969/74 E100/300 240/300 // 1969/79 F100 302 // 1975/79 F150 302. There is a gasket there and to replace it you need to pull the manifolds, they are bolted together. It is bolted together to use exh gases to heat the intake. Once off the motor unbolt the 2 manifolds, bolts may break use heat to help get them out. If they break you will need to deal with them. Drill and easy out or machine shop. Clean everything and bolt the 2 manifolds together and back on the motor using new gaskets. Now being you have the 2 manifold apart and the bolts broke off in the exh manifold might be the time to go with EFI exh manifolds. Link to my EFI manifold swap. Besides getting the manifolds, new (Dorman help) at auto parts store, or used at junk yard. You will need to get the Y pipe. 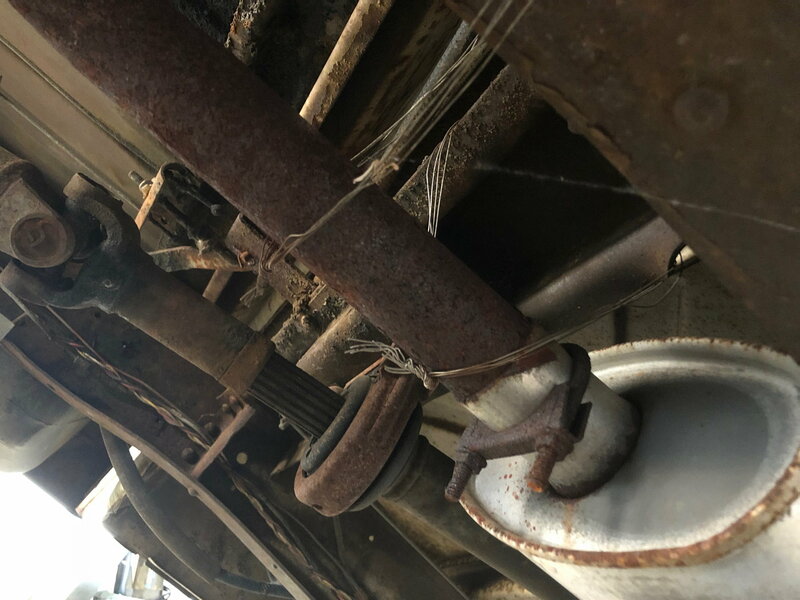 After the manifolds are on the motor, install the Y pipe and you need to figure how to mate the Y pipe to your exh system. I don't think that would be too hard. The wire you have as hangers I would replace with .... get this ... hangers. The parts store has them might try ones made for your truck as a starting place.